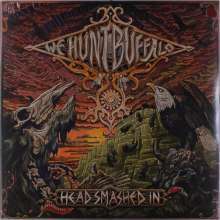 Der Artikel We Hunt Buffalo: Head Smashed In (Oxblood Red Vinyl) wurde in den Warenkorb gelegt. 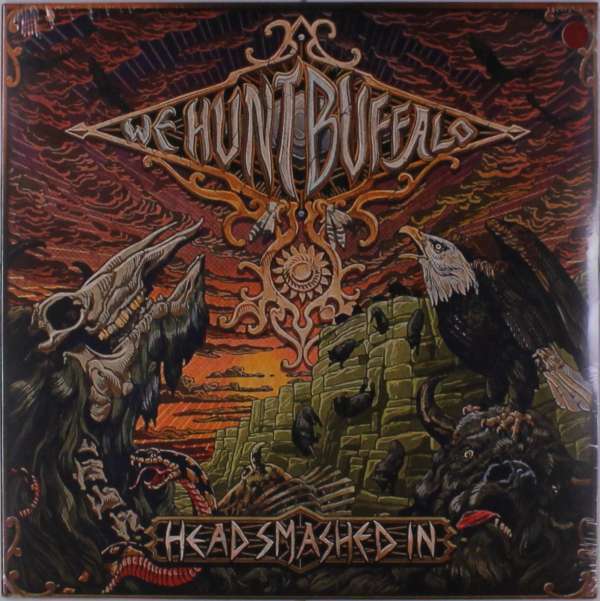 Having supported 'big' bands such as Red Fang, Danko Jones and Truckfighters, the time has come for the Canadians in We Hunt Buffalo to rise to the next level. 'Head Smashed In' is the bands second release on Fuzzorama and their fourth release in their career. It picks up where ‘Living Ghosts’ left off, you will hear the distinct vocal on Ryan and you know it is a We Hunt Buffalo song you got in your head! Whilst still being a record that has nice dynamics between songs ‘Head Smashed In’ is definitely the bands heaviest effort to date. The song ‘Heavy Low’ experiments with new drop tunings. The track Prophecy Wins is a more progressive, instrumental structure. ‘Angler Must Die’ is a straight ahead barn burner that sees Ryan taking on screaming duties for the first time. Lyrically it's still an apocalyptic theme carrying forward from the last record. Also, a honest perception of the day to day life of being in a band are expressed in the song ‘Industry Woes’. The song also comments on the sudden loss of the many musicians we have known for years.